EU finance minister did great job by delaying Greece bailout to Nov 20th. Greece is now closer to default. But Greece has defaulted multiple time, so no one cares about it. 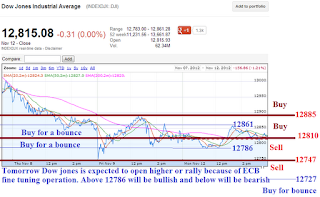 Tomorrow market is expected to open higher or rally because of ECB fine tuning operation. So don't be surprise by sudden rally. Rest of the day depends on the rumor for Greece. 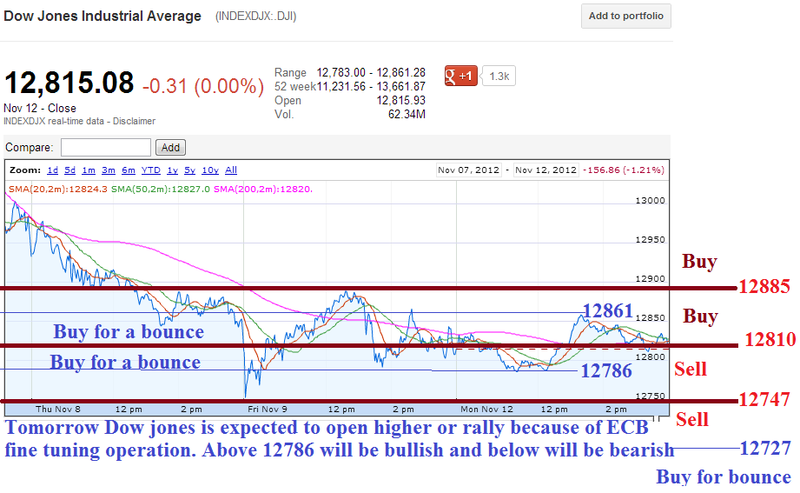 Dow jones expected to open higher because of ECB fine tuning operation.